Woodridge, IL – March 22, 2019: Orbus Exhibit & Display Group®, one of North America’s leading wholesale supplier and manufacturer of display, exhibit, graphic and event solutions is excited to share it has been voted “2018 Display Manufacturer Partner of the Year” by the Alliance Franchise Brands Group. 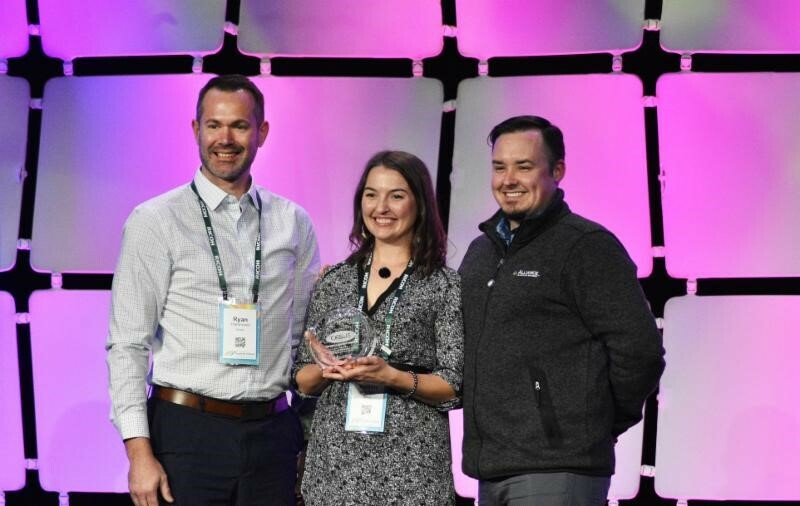 Orbus representatives were presented with the award at the 2019 Alliance Franchise Brands Annual Convention that took place March 14-15, 2019 in Grapevine, Texas. This marks the fourth Display Manufacturer Partner of the Year award presented to Orbus Exhibit & Display Group by the Alliance Franchise Brands Group. Orbus representatives were presented the 2018 Display Manufacturer of the Year Award by the Alliance Franchise Brands Group at the Group’s recent Annual Convention.